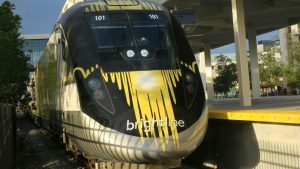 Virgin Trains has announced a potential future link between Walt Disney World and Orlando International Airport. Find details here. The Orlando International Airport (MCO), Transportation Safety Administration (TSA), and Orlando Police Department are reporting the Orlando Airport is experiencing delays after an incident involving a TSA agent. Steve Barrett recently visited the Orlando International Airport (unencumbered by luggage!) and its two Disney Stores: Disney&apos;s EarPort and The Magic of Disney. Each store contains compelling Hidden Mickeys! Like this one in Disney&apos;s Earport. As you enter the store past the Goofy statue outside, walk to the far corner of the wall to your left to spot this classic three-circle Hidden Mickey high on the wall.